Kristen F. Davis Designs: white ceilings. before i painted, guess who got realllly comfy on the pile of furniture? surprise, surprise. also, i'm selling most of my living room furniture (already sold the coffee table and the reupholstered chair yesterday on my facebook page and craigslist), so check back for more stuff being posted! 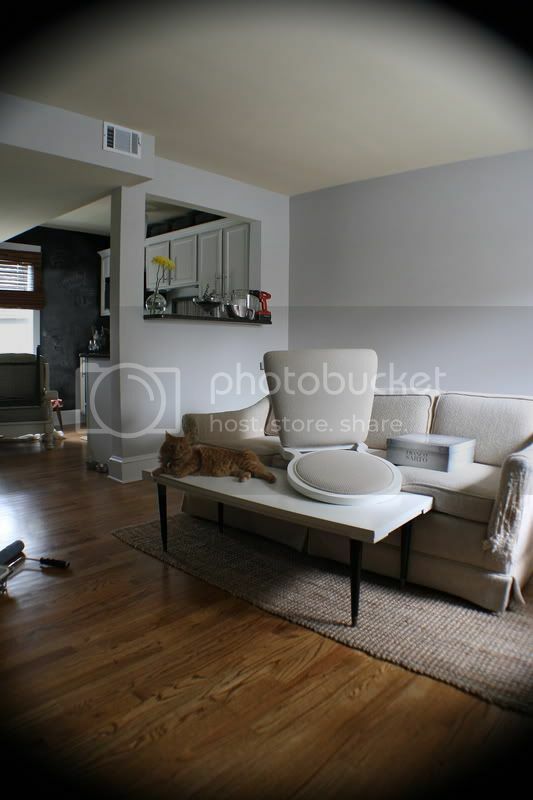 So I know this post isnt really about chairs, but I have really been looking for chairs like the one on the coffee table for a while. Rooms to Go has them, but I don't like the x back. When you place a true white against something else it really shows which is which. 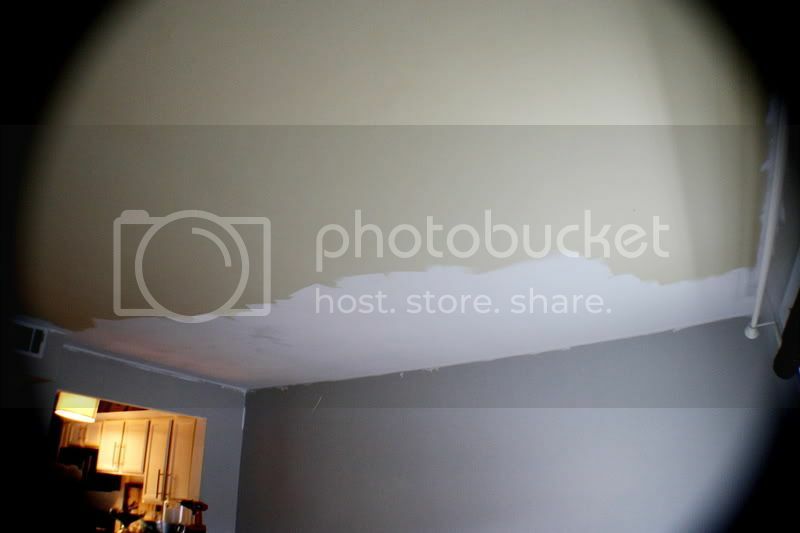 Painting ceilings IS such a total pain! But- it looks SO much better! I just added lots of new can lights and replaced locations of fans and other lights. 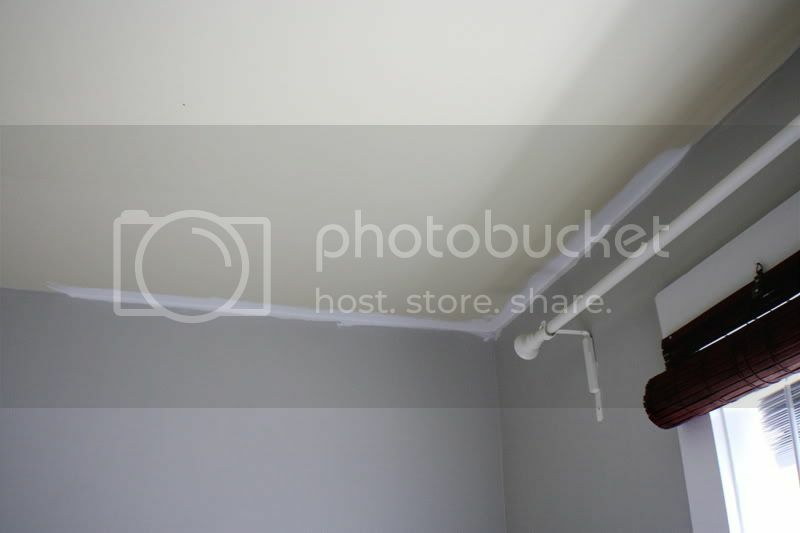 After patching sheetrock and sanding, I painted all the ceilings in my living room, dinng room, kitchen, foyer and hallways--I thought I would die before I finished! I ended up with a 6pm massage appointment! I remember all of the ceiling murals I used to do years ago and I have no idea how I did it!! Kudos to you! my cats totally do that, too. both of them. they love piles of stuff. especially furniture. weirdos. anyway, kudos to you for painting the ceilings! i need to paint our rental house soooo bad. I did this same thing in our bedroom. It was also an icky yellow. It did wonders! Painters have to do the lr ceiling next week as it is a cathedral ceiling. 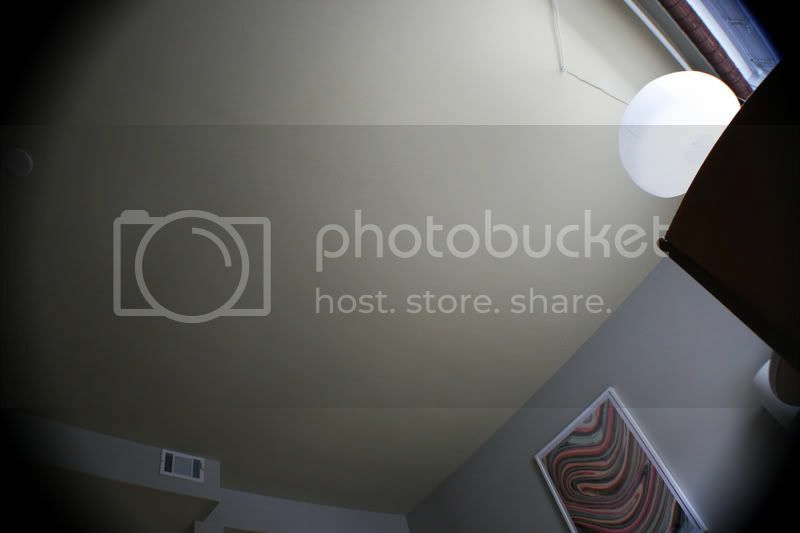 shannon in austin - yes, we still have a hallway with super high ceilings that hasn't been touched. it radiates yellow into other rooms! going to have to get someone else to do it, because my ladder isn't tall enough for me to reach the ceiling. annoying! Sometimes a change just can't wait! Love the after! Stoked to see the living room come together! I thought I'd die before that I finished! I finished with a 18 h massage appointment! I myself remember all ceiling murals I used for years and I have no idea how I did it! Congratulations to you! I saw the same white ceiling, I think I woke up and saw eight years ago in this very bed. This seems to be a lifetime has passed since then. No change in the ceiling, but I am a completely different person than I have 8 years ago. For eight years, I test them. They stole from me my life and take me away from my dearest friend on the road ahead.